– combine 5 or 6 pistils from saffron into a small bottle of simple syrup. Let sit overnight in fridge covered. Strain into coupe glasses and dot with the Thai Bitters. All events require either tickets or an RSVP. For ticketing, schedule details and more information, visit ashevillewineandfood.com. Niche’s Cocktail of the Week, My Mamontini! Klaus and I making a splash in Moscow! I think that I wrote this piece two or so years ago… It’s fun to see where my writing has taken me. 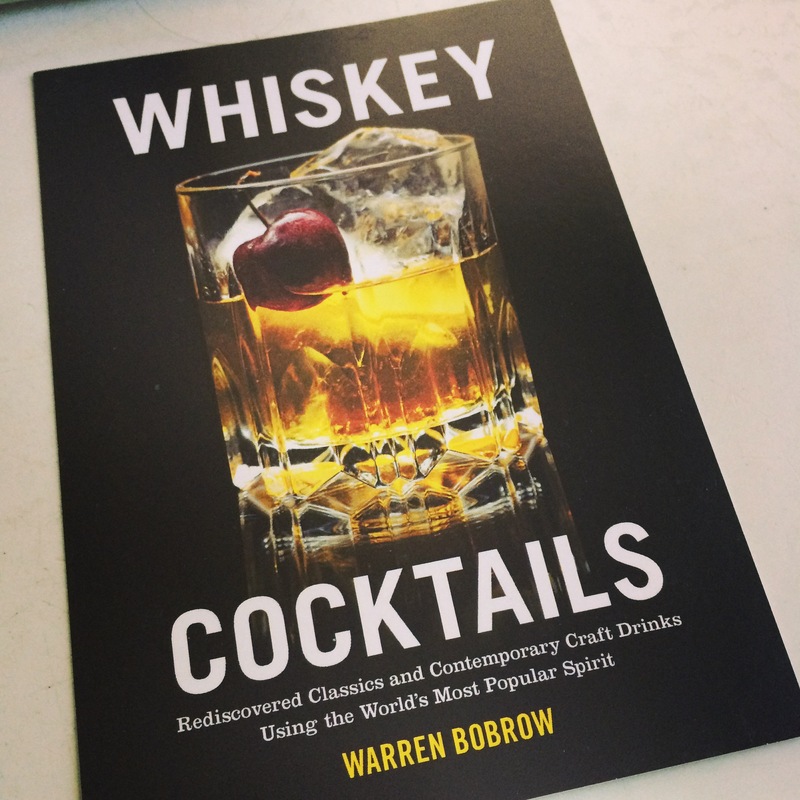 So please enjoy and pick up a copy of my forthcoming book (Whiskey Cocktails) if you get the chance. It’s got all the stuffing! I just created a new cocktail with historically correct flavors. What are those interesting bottles? Well my friends, my usual- or unusual form of cocktail whispering has led me to a secret spring. There up the road apiece is a spring that spouts water as clear and refreshing as the soft hand of a maiden in the summer. Pennsylvania Rye in the un-aged form runs as soft and sweet as this spring that bubbles up from the earth. Branch water with a kick I say. Sitting next to this venerable bottle of Pennsylvania History sits a bottle simply called Sage from the same creative mind behind the salubrious and ever mixable liqueurs named Root, Rhubarb and Snap. But what is Sage? Sage is Herbalicious according to the hand-crafted natural paper-press release. According to the copy, Thomas Jefferson was not only a founding father, but he was also an avid horticulturist. His friend and mentor Bernard McMahon was in the midst of chronicling the 130 plants discovered by Lewis and Clark. As history has it, Bernard and Thomas also were fond of highly intoxicating beverages. Sage in the purest form is not just sage as an herbal adjunct, it is also an ingredient in early “Gar-Tending” experimentation! Dad’s Hat Pennsylvania White Rye is gorgeous stuff. If I could lay down a few bottles and wait about ten years, I’ll bet the mouth-feel will soften to that of branch water. Now, instead of letting any rest, I’ve created a cocktail with this spicy and emotional Rye powerhouse. Sage is distilled with thyme, sage (of course), rosemary, lavender and fennel. All I could think about was mixing Sage with Dad’s Hat. But the drink would not be complete without a few drops of the fire driven chocolate and spice enamored heat of the Bitter End Memphis BBQ Bitters. Take about four drops of this amazing liquid and scatter them over the top. The 100 proof power of the White Rye and the aromatic wonderment that says Sage finished with Bitter End Bitters only needs one more item. I’m a fanatic for great ice…..Crystal clear and without any unpleasant fragrances or minerals, great ice cubes will enlighten your cocktails. I did a 95/5 mix of Royal Rose Lavender Lemon Syrup and some of my filtered well water. The benefit of putting the Royal Rose Syrup into the ice cube is to subtly change the flavor of the cocktail as the ice cube melts. Mostly water, with that bit of syrup and everyone is friendly together. I believe it shows sophistication of flavor. And fortitude in your cocktail glass. Isn’t that what this is all about? What are Shrubs in Cocktails? What is a Shrub you might ask? Well, a Shrub is a combination of sweet and savory flavors. Vinegar and fruits, bitter aromatics and tart essences are what Shrubs are to a cocktail. I see a Shrub and I think savory and complicated flavors. Shrubs seem to be recreated aroma driven concentrated tastes. Sitting in front of me right now is a very special Apple Shrub from Shrub and Co. I created a liquid Mulligatawny out of my Apple Shrub. The Mulligatawny Cocktail is a curious creature indeed. It is comprised of Orleans Apple Aperitif woven in a melange with Busted Barrel Rum from New Jersey. A few tablespoons of the Apple Shrub is augmented by the sharp and potent flavors of Curry- as exemplified by Bill York’s Curry Bitters from Bitter End in Santa Fe, New Mexico. I see this cocktail as a potent reminder of the British Empire running a rail road train at high speed into an unchartered pass. In the winter. With no one coming in either direction for about a week. This drink is perfect for the coming apple season and fall soon ahead. The Shrub and Co. Apple Shrub can be taken by the teaspoon full over ice cream or spooned over shortbread and dashed with some bourbon oak aged dark rum or even an agricole! I prefer it in a drink. There are dozens of different Shrubs on the market. Some are created from berries, others citrus and still others tree fruits. Shrubs are to cocktails as a time-machine is to space travel. A means to the end. Channeling our forefathers through their liquid driven memories. My thoughts on Shrubs are simple. Use them when you require a bitter/sour element to your drinks. They add a savory sweet/sour thickness to the finished product. Is your mom sweet like honey? Warm and comforting like a cup of tea? Or even a little spicey? Klaus has never met his own mother, but that doesn’t stop him from celebrating all the moms in his life. 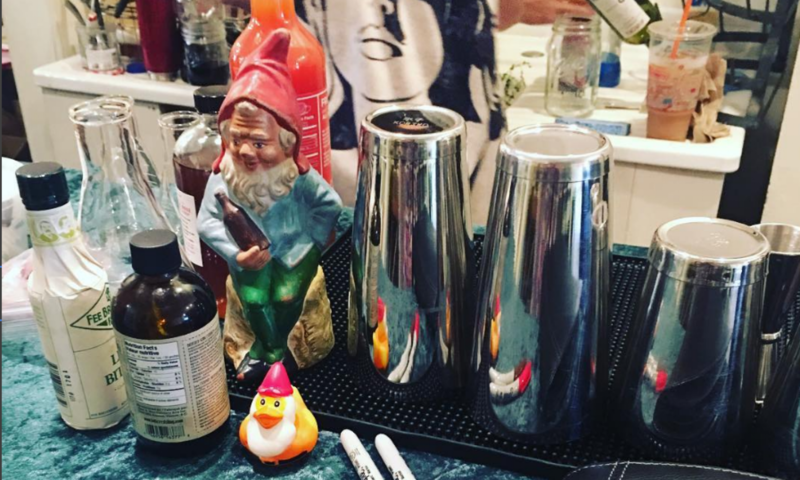 So he’s concocted a cocktail for all moms–no matter what shape or form they come in. Springtime brings flavor into the equation because after the long winter we had, all Klaus wants is simplicity and flavor. So what does Klaus want? Fabulous Rio Red Grapefruit syrup, grenadine, Barr Hill Gin, Tenneyson Absinthe and Bitter End Thai Bitters??? Bitter End Bitters out in Santa Fe, New Mexico makes Thai Bitters that are like delving into a bowl of Thai Chilies. There is that heat element that is for certain…But then there are the flavors that open up, drop-by-concentrated-drop in a cocktail. I’ve tasted dozens of bitters and there really is nothing on the market that has the character of the Bitter End. Don’t get me wrong, I love bitters and could wax poetic for hours using them in my drinks. Bitters are just about the best thing for a hangover, according to Klaus. He knows. Fruitations from Massachusetts are a most gorgeously concentrated, pure fruit syrups that are just exceptional in any kind of cocktail or mocktail. I just go gaga over the grapefruit syrup because it is like tucking into a juicy, ripe grapefruit. Less is more with this high quality syrup. You don’t have to use much, it’s that good! A hit of Tenneyson Absinthe Royale is necessary. Try it and you’ll know why. It’s a secret otherwise! FIRST, make a pot of Beekman 1802 Mercantile Blend tea – please serve it steaming hot to warm you deeply before, cooling yourself with this spring cocktail. CHEERS TO WHATEVER PERSON IN YOUR LIFE YOU CALL ‘MOM’! The past few days, Klaus has seemed full of wanderlust. He spent the time wandering through the International Restaurant and Foodservice Show in NYC. He met the kind folks at Total Food Service Magazine and many others along the way. Klaus admired the commercial ice machines, the electronic technology laden kitchen equipment and high-speed dishwashers. He was so impressed! But if there is one thing that Klaus knows how to do and that is drink. Many top end Sake producers appeared in the Japan Pavilion at the show and Klaus started pulling me towards the broad tables, laden with sake from all over Japan. Klaus didn’t want to extol over the immense pleasures of both jasmine and green tea, what he wanted was to get soused! He was actually being quite insistent! Klaus was leading me towards a veritable Holy Grail of sake. Smiling men and women were holding out little plastic cups of liquid history to Klaus. He threw back his little ceramic head and drained a whole series of sake. Some were fruity and light, the pinot grigio sake- served ice cold and meant to be enjoyed quickly. Others were more introspective, like Burgundy, thick with sediment and possibilities. Still others in the nearly unknown, creamy style of sake pleased Klaus to no end and I actually saw him stashing a few bottles worth in his little flask on his chest for the car-ride home. Ah Klaus, you work in strange little ways. The season for drinking sake is year round in Japan and Klaus suddenly realized the meaning of his own desire. That is the absolutely freshest fish that money can buy, washed down with glass after glass of distinctive and crystalline sake from micro producers around Japan- as pure as the melted snow on Mt. Fuji. Klaus told me that he wants to do a story on Japan. Maybe he will be in the right place at the right time to attain a story of this merit? Klaus? Klaus? Ah, he wandered off again. Looking for another little glass of sake? He’s so predictable. Pour over filtered crushed ice and finally add a few drops of the Bitter End Thai Bitters over the top… finish with a splash of the Perrier Sparkling Water and drink!